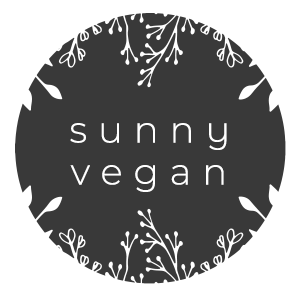 Home Tags Posts tagged with "sunnyvegan.com"
We went to Hawaii last year and the hotel we stayed in included a breakfast buffet. While most people lined up for the omelet bar and pastries, I squealed like a little kid when I saw they included traditional Japanese breakfast items. Really, I squealed. The sticky rice and cubed tofu left me giddy every morning. They had a great looking miso, but not knowing what the base was made of I had to skip it. Over the holidays, my family was here and I was telling them about my yummy vaca breakfast, my dad really liked that kind of breakfast too so I had to get cooking. 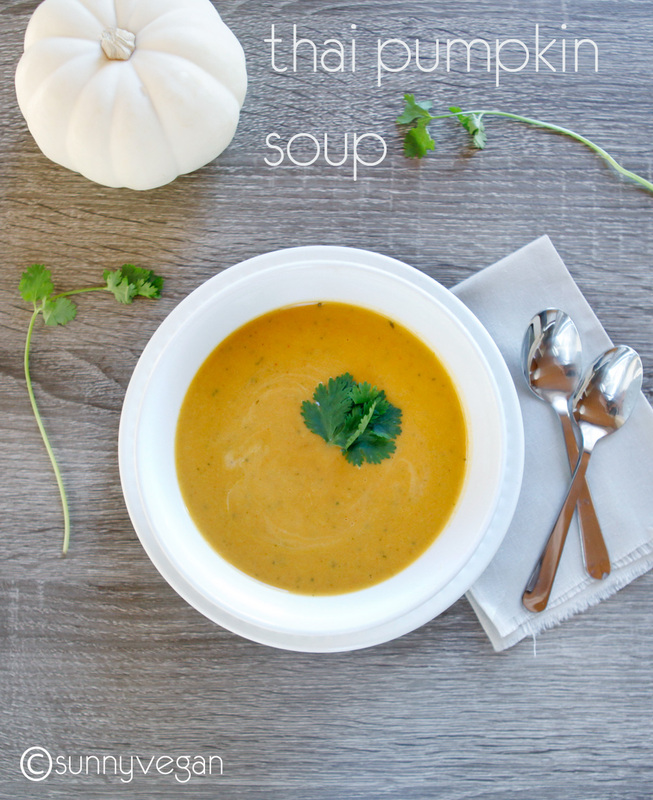 and yes, the entire pot of soup is already gone. Looks like I will be making more for them today. 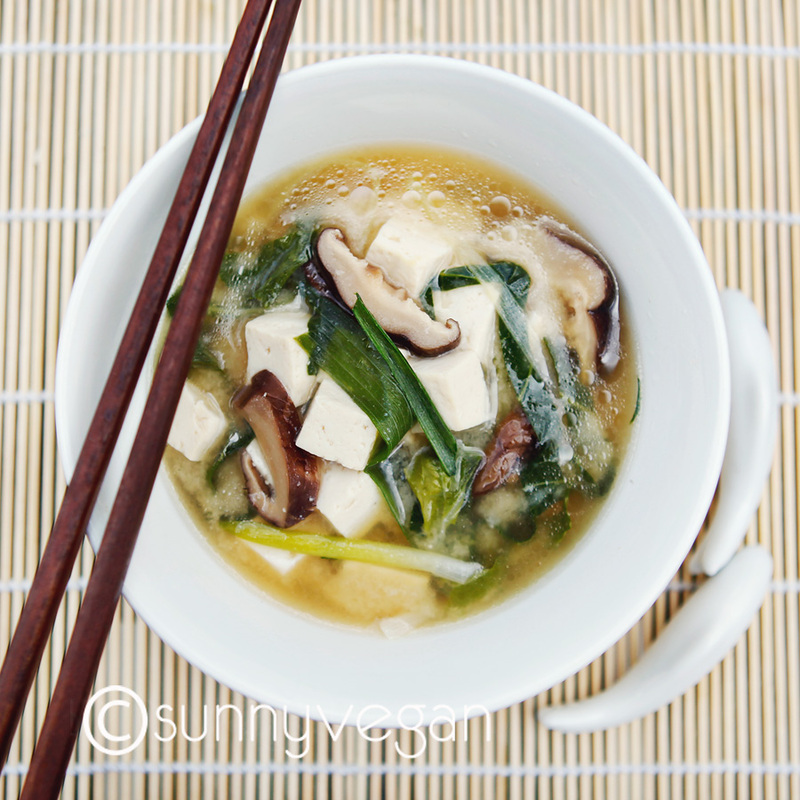 in a large saucepan, combine water, onion, mushrooms, bok choy, oil and soy sauce. allow to simmer 10-15 minutes or until bok choy is tender. add cubed tofu and simmer another 5 minutes. 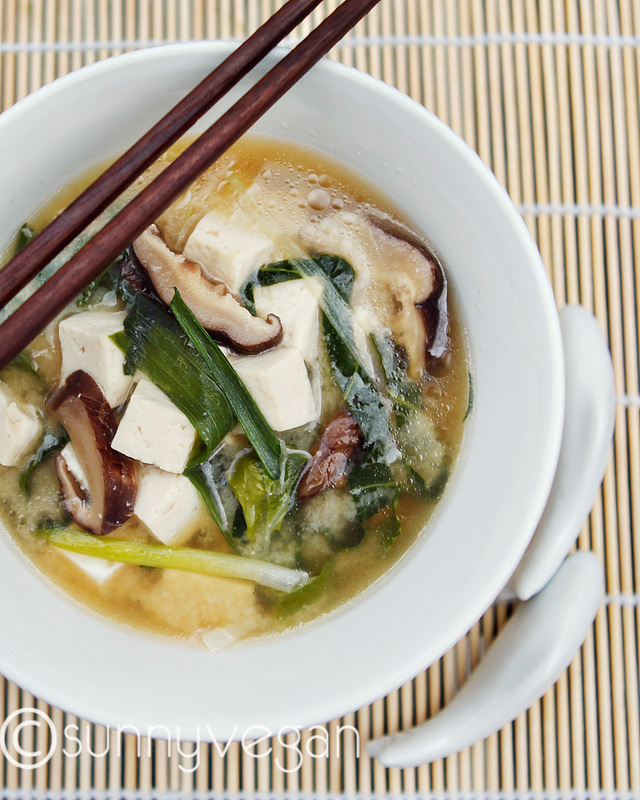 in a small bowl, combine miso and 3/4 cup water and stir until dissolved. remove pan from heat and gradually add miso, stirring gently to combine.